Chemical Reaction and Reactor Design begins with a discussion of chemical reactions, emphasizing chemical equilibrium and rate of reaction and proceeds to the theory and practice of heat and mass transfer, and important considerations in the design of chemical reactors. 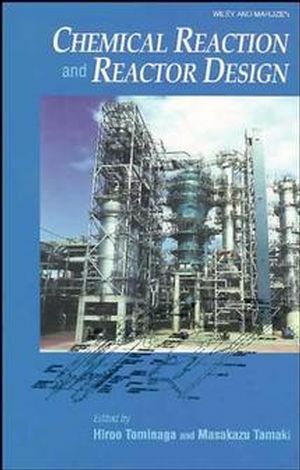 The final section of the book provides detailed case studies from the chemical industry covering the six chemical processes: naphtha cracking, steam reforming, epoxy resin production, hydro-treating, fluid catalytic cracking and flue gas desulfurization. Hiroo Tominaga and Masakazu Tamaki are the authors of Chemical Reaction and Reactor Design, published by Wiley. Chemical Reactions and Design of Chemical Reactors (H. Tominaga). Equilibrium and Reaction Rate (H. Komiyama). Fundamentals of Heat and Mass Transfer (K. Asano). Deisgn of an Industrial Reactor.